I aged everything with Adirondack mushroom dye ink. 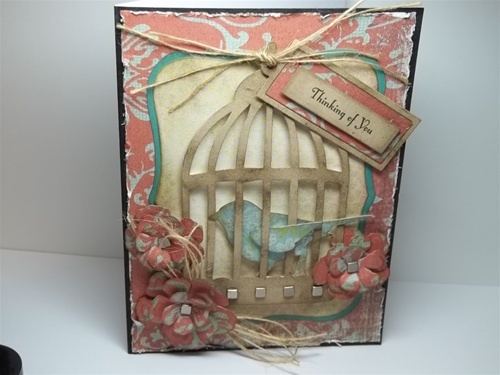 Parts of the bird cage, bird and flowers are popped up using EK success 3D Dots. make it kind hit and miss. This gives it an aged look. 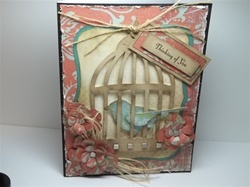 If your dp isn't very thick for the bird, just glue it to card stock then cut out.